This humble creature is in the limelight this year because it is the Year of the Pig. The pig is the last of the 12 zodiac animals, and great spiritual and cultural importance is attached to it. Its most important role is being part of the agricultural economy as perhaps the most staple meat eaten in Vietnam. Every farmer in a Vietnamese village, typically a rice farmer, would also raise some poultry and pigs alongside. So chicken and/or ducks and pigs were a ubiquitous presence on most farms, and a part of daily life of every Vietnamese citizen. Then, the pig is also a big presence in folk songs, poems, idioms and arts. 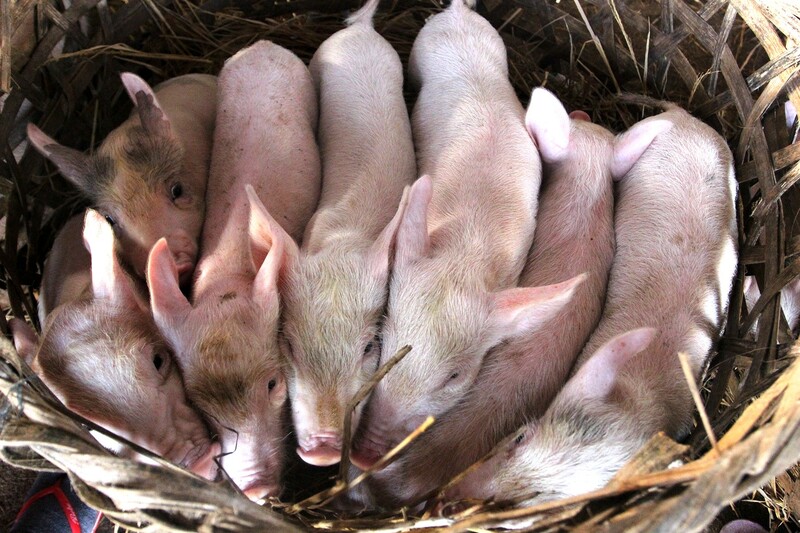 Symbolically, pigs are considered carefree, lazy animals, and gluttons to boot. 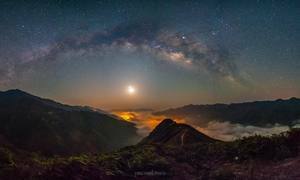 But they also reproduce prolifically, and puts food on the table for the farmer and every other citizen. 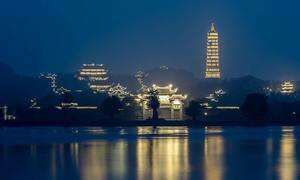 People born in the Year of the Pig (1959, 1971, 1983, 1995, 2007 and this year) are believed to enjoy a carefree life. Even when it is not the Year of the Pig, it appears in folk paintings that are part of all Lunar New Year celebrations as a harbinger of good luck, happiness and fortune. 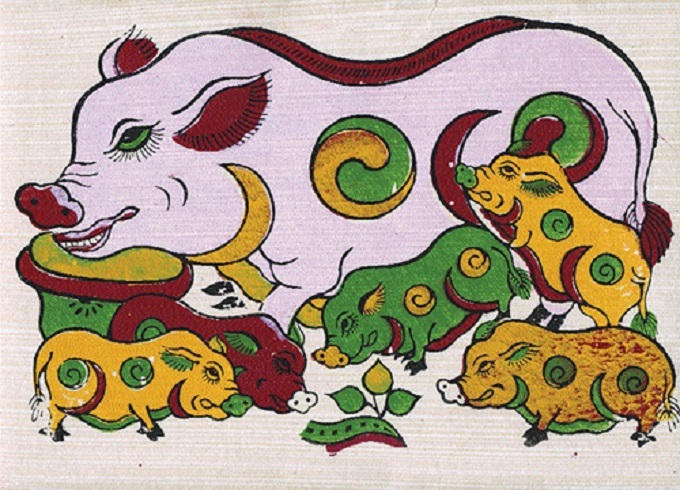 In folk paintings from the renowned Dong Ho village, in Bac Ninh Province, northern Vietnam, the pigs are a regular feature. One famous picture depicts a white mother pig with five young pigs, a green, a red, and three yellow ones crawling under her feet. This picture of a pig family, with yin-yang signs on their bodies, symbolizes aspirations for prosperity, development and well-being. 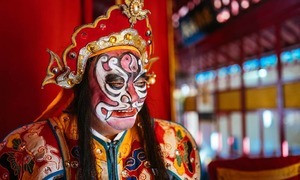 Pig is also a part of several traditional rituals in Vietnam. 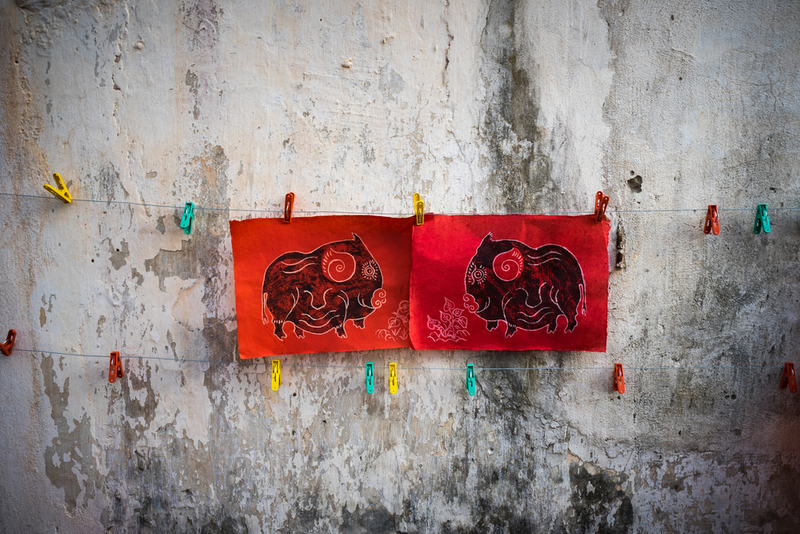 In Vietnamese villages, a cooked pig is often part of offerings to the village deity. Pork, together with a tray of steamed sticky rice, is also a popular offering on most important occasions, like a prayer, funeral and death commemoration. When the Lunar New Year nears, it is a tradition for many villagers to slaughter a pig and share the meat, since pork is the main ingredient in many of the New Year dishes. Boiled pig’s head is a sacred dish used in rituals to express respect for ancestors and deities. 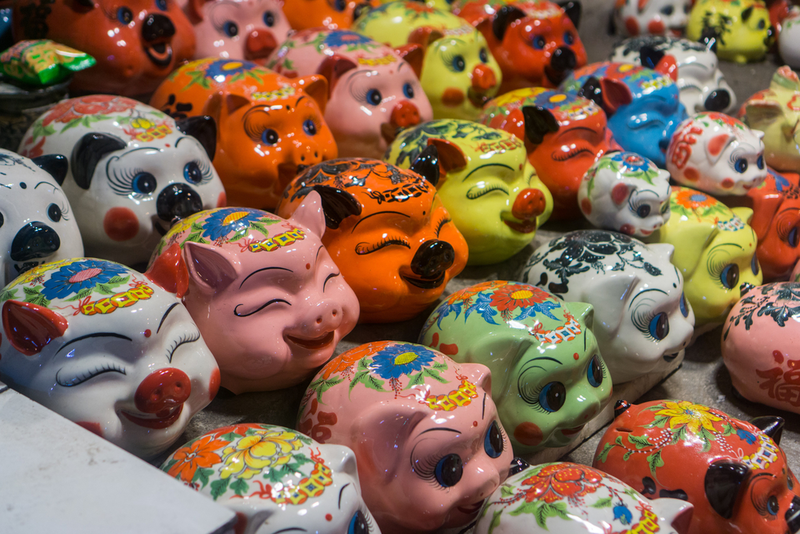 Piggybanks are everywhere in the world, but they have a special place in Vietnamese tradition. These are popular among children and potters make millions of them, of various hues and sizes. Mostly, there are clay and ceramic piggybanks that children put their Tet collection of lucky money in. Pork, as noted earlier, is a staple in Vietnamese cuisine. It is part of every part of a meal, from appetizers and snacks to main dishes. 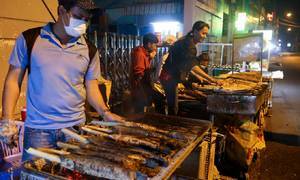 Pork accompanies many types of vermicelli dishes, namely the renowned bun cha (grilled pork vermicelli) of Hanoi, the bun nem (vermicelli with spring rolls) and the bun bo gio heo (vermicelli with pork’s feet). Seasoned pork is the filling of many types of cakes like the banh gio (rice jelly cake), banh chung (sticky rice cake) and banh cuon (rice roll). In daily meals, the meat is ground or pounded to make sausages. There are many other dishes: braised pork belly, pork jelly, or pork offal. Fire sticks, firecrackers and green Chung cake."